In past years Muncie Habitat has done ‘blitz builds’ where we partner with lots of volunteers to build an entire house in a short period of time (anywhere from 7 days to 30 days, typically). Muncie Habitat is now primarily rehabilitating homes, and this year we needed to coin a new phrase for applying this same concept to house rehabilitations. Earlier this year we partnered with Union Chapel Ministries for our first ‘blitz-hab’ project at 2019 S. Walnut Street. 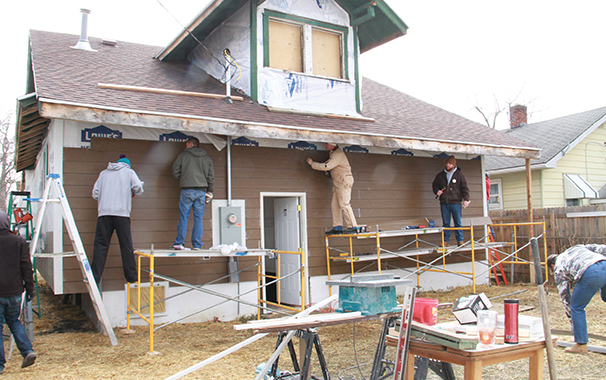 Union Chapel Ministries provided daily volunteer crews for several weeks to rehabilitate the home. In addition, Union Chapel provided significant funding for the rehab work on the home. Joleen Boykin partnered with Muncie Habitat to purchase the completed home for her family. Joleen attended homeowner education courses and put in over 250 hours of sweat equity working alongside Union Chapel volunteers during the ‘blitz-hab’. 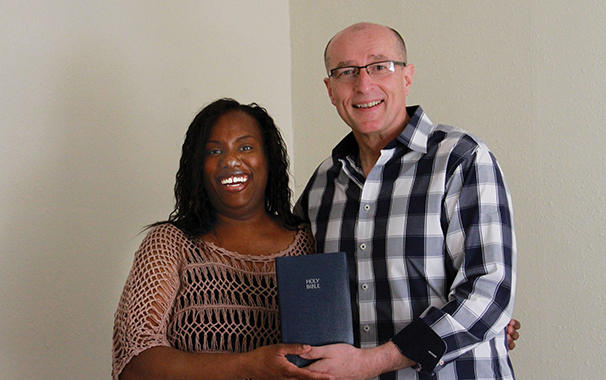 A home dedication and open house were held upon completion of the ‘blitz-hab’ on Good Friday. Union Chapel recapped the project in a wonderful video which they shared with their church family during Easter services that same weekend. Joleen purchased the completed home from Muncie Habitat and will repay a no-interest mortgage over 20 years. Joleen and her children are enjoying their new home. Thank you, Union Chapel, for helping to make the dream of home come true for Joleen’s family!